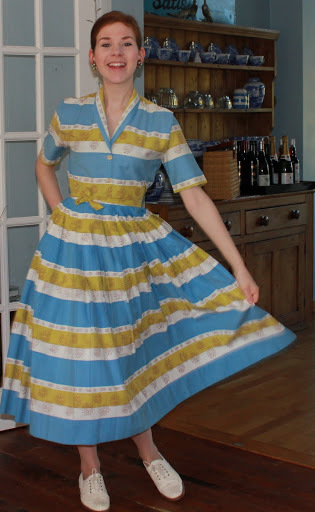 It is now just over a week until I get to talk about my passion for the 50’s at Winchester fashion week! The 1950s was a period of great cultural and social change. Britain was leaving behind the austerities and restrictions of World War Two and people were embracing a more positive future. But what did this all mean for fashion? Come and find out about the fashions of every day people and the influence of couture and be taken through a wonderful journey of full skirts, florals and frivolity. There will also be the opportunity to see some examples of 50s costume and accessories from Liz’s personal collection. There are many other fabbity fab events happening over the week too which I highly recommend anyone in the Winchester area to check out. Love both of the skirts! I have a thing for travel themed textiles. 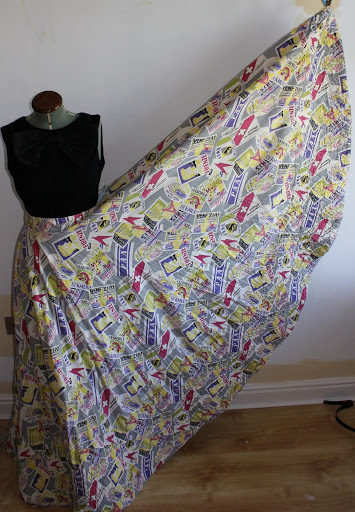 There is just something so fun about travel themed textiles! 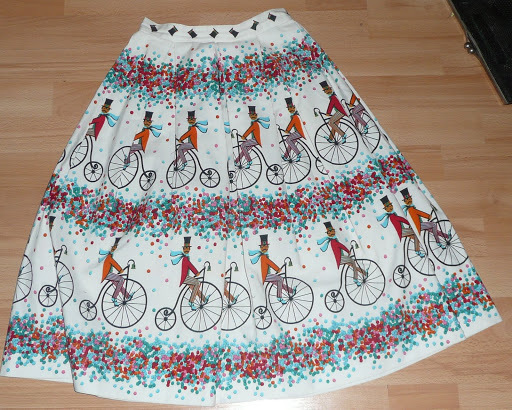 The ridiculously full circle skirt was an accidental purchase, i didn't even realise it had that amazing print on it because the photos of it were so blurred when i bought it! I have a similar obsession for all of the mexican/ south American themed textiles of the 1950's too.